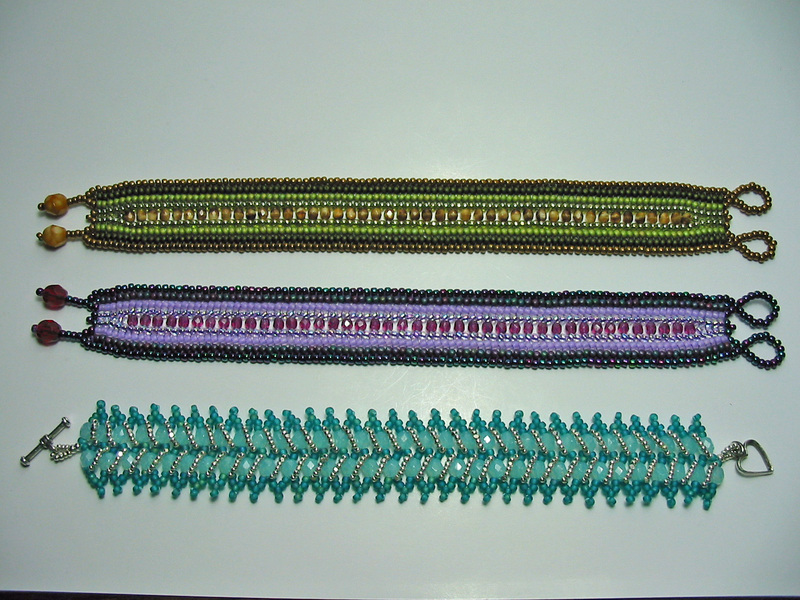 I've been wanting to try these bracelets forever, so I finally did! For the Jewel of India design, I used a different turning technique because I didn't want any thread to show up at the edges. There are more pictures in the photo album. I really like how your versions turned out. Can you describe the turn to hide the thread? I think when I first looked at the "Frangipani bracelet I really didn't like it. I think I'll go back and look at it because I really like yours. 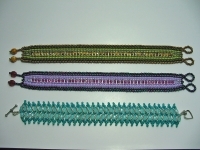 Beki (Whimbeads) has a tuto on her site where you can see the turn. It's very easy, just keep the right tension, enough to hide the thread, but not too tight, or the sides will not lay correctly. I use C-Lon D thread and it works well for me, not too stiff, as they mention on the magazine.